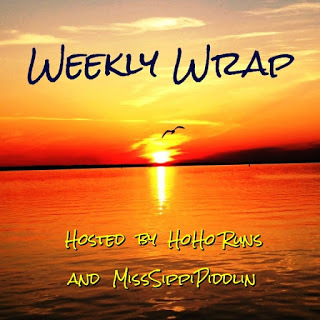 Weekly Wrap-Up: A good but exhausting holiday weekend! I hope everyone had a great weekend! It was a long and tiring, but good weekend in our neck of the woods. 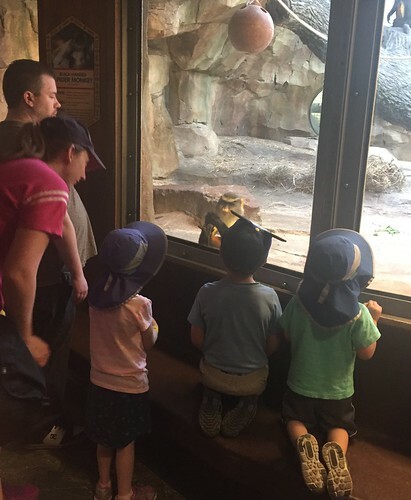 We had friends come to visit, bringing their two kids (2 1/2 and 5 years old). Three kids in one house generates a lot more fun and a lot more tears and a lot more mess. 🙂 Everyone had fun, but I think both sets of parents are worn out! My shoulders are unusually sore from all of the extra kid lifting I did. Overall, this was a good week. I got in balance exercises almost every day and did three rounds of strength training (not counting the strength training involving the kids!). I also met my weekly goal of tracking all of my food (even the wine and handfuls of M&Ms that we parents rewarded ourselves with after the kids went to sleep – definitely my NSV) and countering negative body thoughts with positive ones (which got easier as the week went on, but still needs work!). This morning, my weight is down 1.5 pounds and my body fat is down from 29.9% to 28.2% so things are moving in the right direction. More importantly, I feel better being back in healthier habits. Tuesday A little run in the morning, plus another walk at work – I’m going to try to work in more little ten minute walks at work. Every little bit of activity adds up and can hopefully counter all of the days sitting in my office! Friday I woke up and got ready for a run, but O got up super early. Our friends were arriving Friday evening and he was too excited to sleep. Rather than scrap my run all together, I decided to take a shorter run but bring him along. We only went about a mile and it was a mile of all out sprints, following by a walk, followed by another sprint. It was a very different kind of workout but we had a great time! I promised I’d bring him with me more often. I also got in another walk on my own later in the day. Saturday We had a really active weekend! 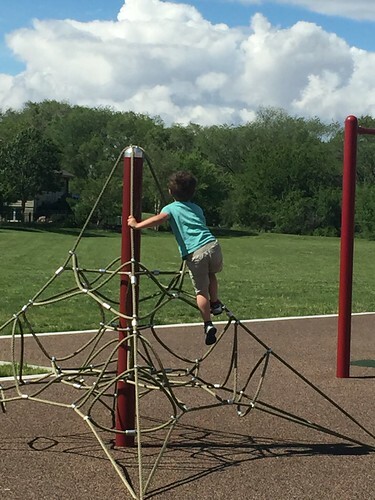 Saturday started with soccer with the kids, followed by a walk/run around the block and then an afternoon walk out to the playground and back for more playtime. In between, there was lots of stairs and lots of walking at the Durham Museum. I love active family days! Sunday This was the motherload of active days: We hit the zoo, with three kids split between a stroller and a wagon. If you’ve ever been to the Omaha Zoo, you know it has some killer hills. I even took on some extra hilly steps in my good deed this week, returning a lost blanky we found while visiting the elephants. We were there for 6 hours and had a fantastic time, but everyone was wiped out by the end! Of course, the kids slept in the car on the way back home and were ready to play again when we got home even though the adults were falling asleep on the sofas. 🙂 Kids have amazing energy! I’m definitely counting this as my hike for the week. I’m grateful that all of the kids and parents had a good time and while there were occasional kid tears, there was no fighting or pushing or anything which is amazing when you think about 3 kids being so out of their normal routine! I didn’t do my long run last week or take a chance to break in my hiking boots a bit, but I’m satisfied overall with my activity. I got lots of steps, got a good start with strength training and got in my 10 flights of stairs a day. It’s a win! This week, I’m on call, so running may be hit or miss (although I did get 5 miles done yesterday). However, I’ve already told Darrell that any day I get home at a decent hour and it isn’t raining, we’ll be taking family walks in my hiking boots. Also, I can get strength and balance training in little bits throughout the day, so there’s no excuse for missing those. In terms of my healthy eating goals for the week, I’m going to reinstate my goal of having a glass of water with every drink that isn’t water, always a surefire way to get me to drink more water, and cutting out snacking after 8 pm. That second one will be tough, but I can handle it. I’ll keep up with my tracking and my positive thoughts too. Slow and steady wins the race! Here’s hoping you all have a good week! Anybody else feel a little discombobulated at work since it is Tuesday not Monday? 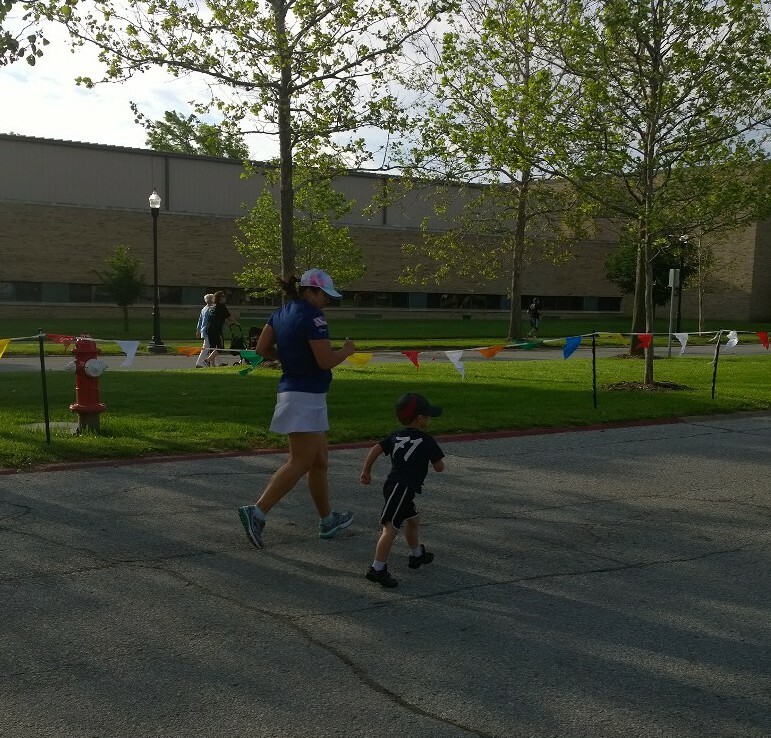 We’re spending the day enjoying each other and the gorgeous weather, including our third trip to the Boys Town Memorial Day races. O did great! Thanks to all who gave their lives to give us the freedom to enjoy these times together. Have a great day and I’ll be back tomorrow with a slightly delayed wrap up of last week! Does this summery weather help you make healthier choices? It seems like we’ve finally turned the corner into officially warm weather here, after a lingering cool spring. In a lot of ways that makes my goal to reset my diet before summer vacation a lot easier. 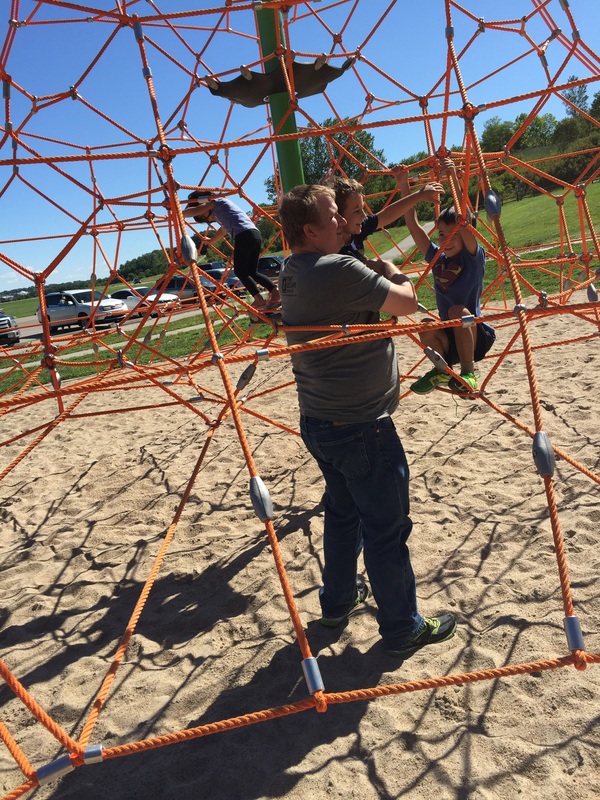 – It’s a lot easier to be active during our family leisure time in the warmer weather. 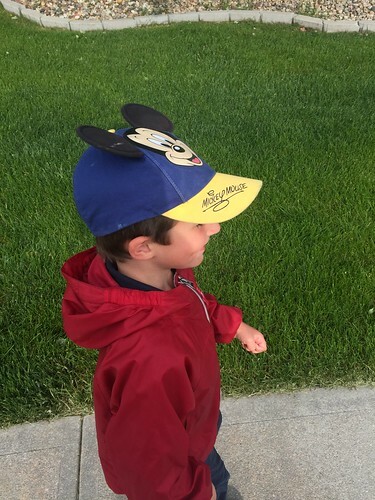 We head to the park and the zoo and for family walks because it isn’t too cold or too dark. It’s great time to spend together and a lot more healthy-lifestyle friendly than hunkering inside in front of the fireplace like we do far too often in the winter. Lots more playground workouts when the weather is this nice! – Thanks to our fantastic surrounding farmlands, late spring and summer in Nebraska are overflowing with fresh fruits and veggies. Not only is my own garden already overflowing with my giant blackberry bush (with watermelon and tomatoes to come later!) but I also have access to glorious farmers markets and my local Community Supported Agriculture program. 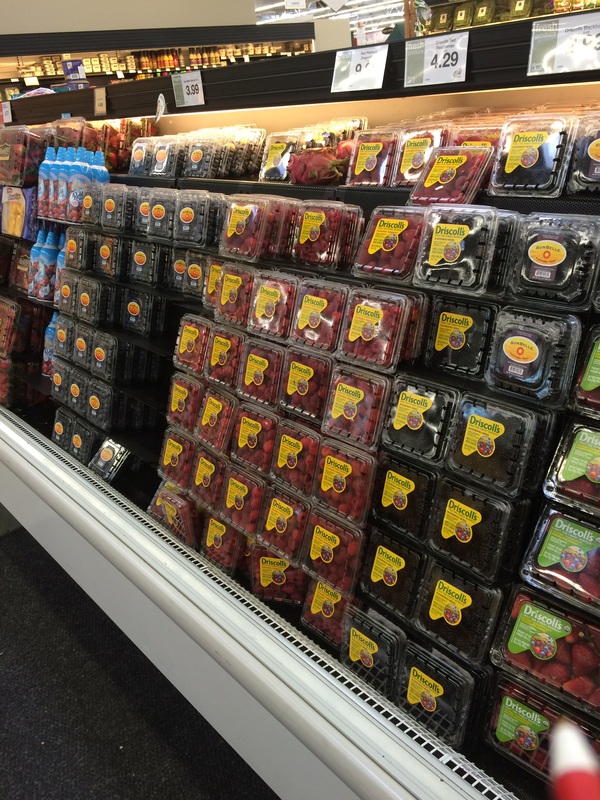 There’s no excuse for skipping the produce around here! I’ll probably be treating myself to loads of lovely berries. They can be expensive, but worth it nutritionally for that feeling of splurging. – The longer days mean less working out in the dark, which is safer and infinitely more pleasant. – Summer is a particularly motivating time for me, as I started my weight loss journey four years ago in July, hit my goal weight three years ago in July and started running four years ago in August. Lots of healthy lifestyle anniversaries to celebrate! – Summer training builds serious toughness and the step down from the heat of summer to the cool crisp air of fall makes for great fall races! Are there things that make summer harder? Sure – I’ve got vacation and birthday cakes to deal with (both O and I are summer babies). I’ve also got the added complication of too much sun causing lupus flares and the very real potential that I’ll eat a watermelon a day, which isn’t good for my stomach or my wallet. All of that produce adds up! All in all, though, this is definitely an easier time for me to focus on healthy habits than winter is. Do you find it easier or harder to maintain your diet and fitness this time of year? My weigh in this week was 189.8, which was eye opening to say the least. I was sort of (okay, very much) in denial about how much I’d gained and any time I stepped on the scale and saw 180s, I’d make excuses. Teetering on the edge of the 190s, it’s time to face facts. I’m also feeling these extra pounds in a way I haven’t in a long time. I feel the fat on my thighs and see it on my arms. I confess to you guys that there’s a part of my brain that still wants to deny this or put it off until after summer vacation. That line of thought is tempting, but imagine a) how much more weight will I gain during that time? and b) how much good could I do for myself – and possibly my weight – with even a few weeks of “good” behavior before my vacation. Honestly, if I put it off I’ll be back over 200 pounds and getting under 200 pounds was a such a HUGE milestone that I don’t want to do it again. Instead, I’m going to make an action plan. I have a few weeks until vacation and I’m going to make the most of them. I’ll make a couple of goals each week of good habits to establish, taking it step by step. This might help my weight drift back down. It will most likely (fingers crossed) keep me from going up any more. Most importantly, it’ll have me go into my vacation with a healthier mindset as opposed to a defeatist attitude (a guaranteed binge trigger!). Track EVERYTHING, every day. I’ve gotten into the habit of tracking breakfast and then not tracking the rest of the day once I get off track. Is it any wonder I’ve gained 15 pounds in a year? Tracking is key. 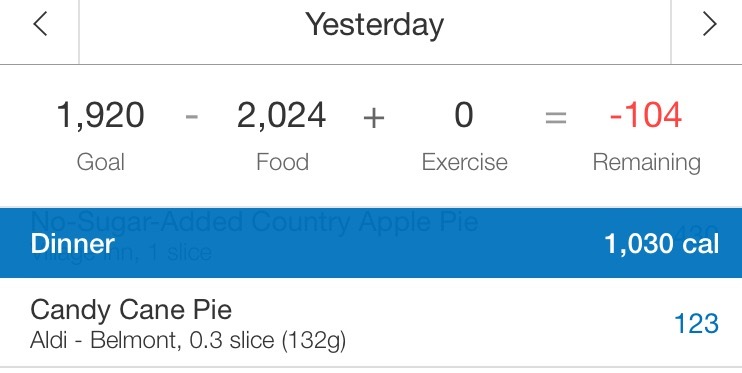 My goal this week isn’t staying in my calorie count – it’s being honest with myself about tracking all of it. Stop the negative self talk. You know I said above that I’ve noticed my weight more this time in my legs and my arms and my clothes? Let’s just say that my mental thoughts about that are not kind or in any way the way I would talk to a friend and certainly not the way I should talk to myself. When I catch myself having those negative thoughts, I’m forcing myself to counter with a intentional positive, loving thought about my body. It’s tempting to think about fixing everything at once, but I know focusing on a couple of key behaviors at a time is more likely to produce lasting change for me. I’ll be honest with you guys here about my success with these goals and with the scale, because I know accountability is key for me. I know the weight loss will be slow, but the habit changes are the most important piece because my diet has definitely slipped more than a little. What small steps have you taken to improve your health lately? This week’s Tuesdays on the Run topic is all about race temperature and truthfully, I can both enjoy and complain about the weather during any given run so I don’t know that I have a real preference. I like it cooler for longer races but that’s about it. 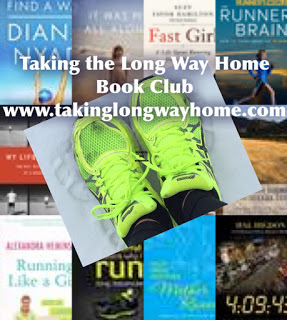 Instead of dwelling on that, I thought I’d share my overdue review of this month’s Taking the Long Way Home Book Club selection: Running – A Love Story, by Jen A. Miller. In this book, Ms. Miller takes you through her life as a runner, from high school athletics (and running hatred) to college and adult training and the role running has played in managing all of the bumps and curves in life. Each chapter begins with a piece of the story of a single race, the 2013 New Jersey Marathon, before leading into a fairly chronologic account of her life. Those introductions from the marathon were definitely my favorite parts of this book. Even though she is a much faster runner than I will ever be, she still experiences a lot of the same things I’ve encountered during the lead-up, running and finish of a race. A lot of the author’s inner monologues, both in races and in training runs, reflected my own. I’ve definitely had those pre-race conversations like she describes, in which I remind myself of the many “weeks of training in my legs and lungs.” I’ve also experienced the same mental clearing on a long run, where I run so long that I can’t keep cycling through the same negative thoughts again and again about whatever is going wrong in my life and finally let my mind wander to greener pastures. While I found the running pieces interesting, I confess that I found that the relationship bits to be exhausting. I’m impressed by her honesty and putting everything about her life out there, flaws and all. I just got a little tired of reading over and over about bad relationships. Yes, we all have them, and yes it parallels our relationship with running a bit and at the same time, our relationship with running can help ameliorate the angst of our other relationships, but rather than finding comfort in the “we’re all the same!” of this part, I just kept wanting the story to move on to something more interesting. Oddly, my favorite little tidbits were the mentions of her mother. Even in the end, when we get the conclusion of the New Jersey Marathon of 2013, I found myself thinking both “thank goodness this is almost over” when I realized I was 87% of the way through the book and “yay for Mom!” when I came across the mention of her mother running her first 5K. This book really is a wonderful little love letter to her mother, who sounds awesome. All in all, I wish I’d checked this out at the library instead of buying it because as much as I enjoyed the running pieces, the rest of it isn’t something I’d re-read. However, I enjoyed her writing about the running itself enough that I’ll look forward to seeing her work in other venues. 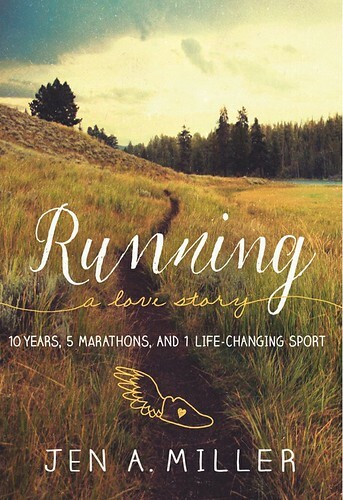 I am glad that at the end of the book, she seems to have come to a new kind of peace with her running and her life. Thanks as always to Wendy, Patty, Erika and Marcia for hosting our link ups! 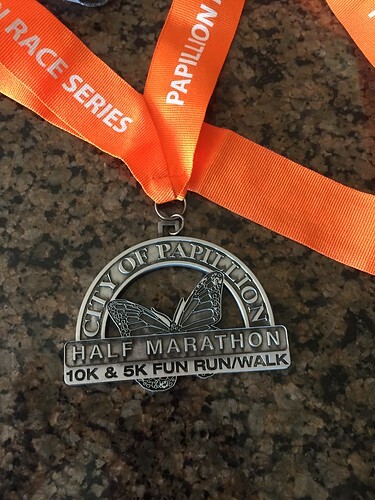 I took this week off from running to recover from the hilly Papillion Half Marathon. My legs stayed sore for a couple of days after that race, so they needed a break. I had an active week overall, though, thanks to a visit from my parents and lots of home improvement projects. Wednesday, Thursday & Friday Home improvement central, which meant tons of trips up and down the stairs, lots of lifting and hammering and LOTS of squatting. I was sore but I now have a new mantle for the fireplace in my basement (previously an unfinished box), electrical outlets in the storage section of my basement, garage shelves and a workbench, a new media center and lots of other little things done. I am so grateful this week for their help! Saturday I went for a walk to the grocery store early in the morning and spent the rest of day running around for tee ball, pre-K graduation (where is time going?!) and enjoying my parents last day in town. Sunday We went for a family walk in the evening hitting up our local ice cream place (which has a dairy free option!) because Oliver told us it was important to get more exercise. Good idea kid. All in all, a very active week with an average of 10,000 steps a day and 10 flights of stairs every day. 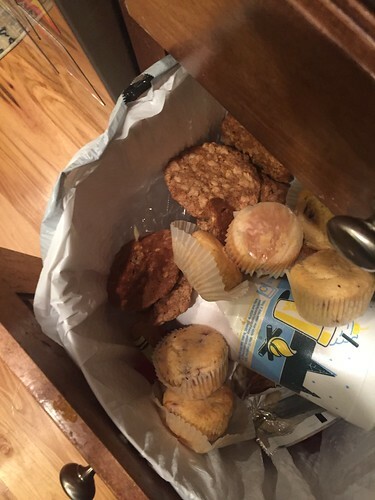 This morning, I threw out the cookies we’d had in the house all week/weekend during my parents visit. Apparently, cookies are not something I can handle having around in any quantity. I found myself eating more and more of them, only without witnesses naturally and in that rapid inhaling of a binge eater. Sigh. I normally don’t have trouble with desserts in the house but apparently something about cookies is bad news. Lesson learned and at least today I finally threw them out rather than convincing myself I should just eat them all to finish them. NSV? This week is all about resetting my healthy eating after yet another cookie-apocalypse and getting started with my off season training plan of running, strength training and planning for my hike. After a week off running, I’m ready to get going again! I have a 5 mile hilly race over Memorial Day weekend so I definitely want to get a least a few miles in to remind my legs that they know how to do this before race day, even if this is just a fun family run. Are you handy? Do you handle your own home improvements or hire those chores out? We aren’t particularly handy ourselves, so I’m very grateful that my parents are! Sticking to it . . .
Now that I’m done with race training for a little over two months, I’m going to focus on cleaning up my eating habits before I start marathon training in August. I have one trip out of town for work, which I am NOT going to treat like vacation – healthy eating is on the menu! – and one vacation, which will include some indulgences. That means 9 of the 11 weeks between now and the start of my next training cycle on 8/1 will be filled with healthy foods, tracking everything and being honest with myself about what I’m doing. I’ve let a lot of things slide, like extra bites of pie and pizza and handfuls of M&Ms, and it’s time for that to stop. In my fantastic Lovely Ladies Losing It support group on Facebook, someone asked the other day how you find a way to stick to it when you’re trying to eat healthier. Let’s not kid ourselves – it’s hard. Temptation is everywhere and I myself have been giving in to it far too often. I found myself thinking about the things that helped me when I lost weight the first time around, because I was a focused MACHINE and rarely derailed. Take it one choice at a time. Thinking about losing 100+ pounds was overwhelming. I looked at it one 5 pound star (the Weight Watchers sticker you’d get at weigh in) at a time and on the really tough days, one decision at a time. My favorite advice is still to make the next good choice rather than looking at the enormity of the process in front of you. Focus on one choice at a time and it will eventually add up to big change. Keep your list of reasons to lose updated and readily at hand, so you can remind yourself why you’re doing this. I need to undertake this again. 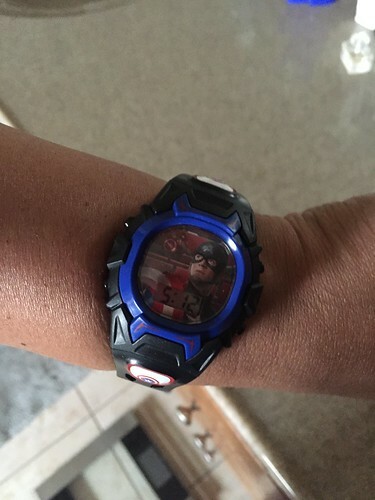 My blood pressure was a huge motivator the first time around. Now that’s under control, so I need to find a new “why” to help me when the going gets tough. I kept my list on my phone so I could look at it when faced with unexpected pastry at work or other temptations. I also really like Mary’s advice to remind yourself about how much better you feel when you’re treating yourself well. Remembering how far you’ve come in terms of habits and how you feel can help when you don’t feel like you’ve made progress on the scale. Set up your environment for success. Remove temptations from the house entirely or at least hide them. It’s easier to resist something once in the grocery store than to bring it home and have to resist it every night. Enlist help from the rest of your household if you need to. Your health is important to everyone who loves you. It’s okay to ask that they hide the cookies or keep them outside the house. Be honest with yourself. Whatever you need to keep yourself truthful and accountable, make it happen. The weigh in at Weight Watchers was hugely helpful for me before. This time around, I’m thinking measurements and weigh ins every weekend with accountability from my LLL girls. It’s easy to get in the habit of ignoring the things we’re doing that aren’t healthy and hiding the consequences, or at least it is for me. Keep healthy things on hand for when you’ve just got to eat. I’m not always going to be able to distract myself when I’m tempted to binge. Keeping fruit or veggies that I like on hand was hugely helpful for the first time around. If you’ve just got to eat (and I’ve been there), at least make it something healthy so you don’t regret it as much after. Controlling my environment, in terms of keeping the unhealthy things out and the healthy things in, helps me to avoid making too many decisions about what I’m eating. The fewer decisions I make, the less likely I am to make a bad decision and the less likely I am to set myself up for the kind of failure that starts that vicious cycle of binge eating. How do you stick with it when you’re trying to eat better? I’m a big fan of sticker charts and have used them for establishing exercise habits, but never eating habits. Maybe I need to give myself a sticker for every day I track and stay within my calories? Once I get that down, a sticker for days I drink water rather than diet soda? I don’t have much to wrap up in terms of workouts this week – one run Tuesday, gardening on Saturday and a half-marathon on Sunday – so we’re going to start this wrap up with a running etiquette question. 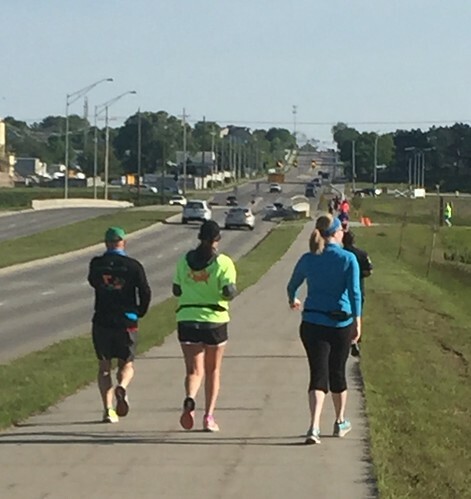 Yesterday, I ran the Papillion Half Marathon for the second year in a row. When I was waiting in line for the port-a-potty pre-race, two stalls opened right as they started playing the national anthem. The guy in front of me and I both stopped in our approach to the stalls because the anthem had started and looked at each other uncertainly. They were having trouble with the audio for the anthem and would play a few seconds, then stop for a bit and try again. After a couple of false starts with the music, he and I both took advantage of a pause in the attempts to start the anthem to dash into the stalls. They ended up having someone sing the anthem a capella while we were both in the stall. My question: Would you head into a port-a-potty during the national anthem if one opened up or do you wait until it is over? It felt like the right thing to do to wait, but that was a first for me and apparently him too. I confess I’m grateful for the technical glitches that gave us enough of a pause to dash in since the race started as soon as the anthem was over! I also confess I held my hand over my heart in the stall, as much as was practical anyway. TMI? I promised myself I’d at least run once before my race last week, so I hauled myself out of bed early to run Tuesday morning. Other than that little run, it was mostly week of lots of walking. I made the ill-advised decision on Saturday to do a lot of work in my yard and ended up with my worst allergy attack EVER. My throat was scratchy and swollen and my eyes were swollen and watery. It was hard to keep them open! I’m grateful that Darrell went out to get some allergy eye drops for me Saturday night and I took an extra dose of Claritin (NOT recommending you do that) to try to get to the point that I could see to run Sunday. It was bad enough that Darrell and I actually discussed how much I REALLY needed to see to run a half marathon. My eyes were better and I could see, which was good, but all in all this is the worst my allergies have been since moving to Nebraska. Boo! 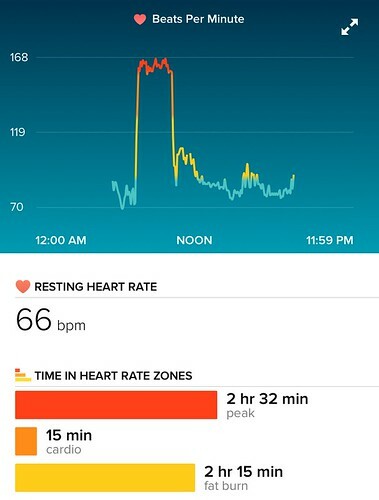 I think the extra Claritin was a bad idea because I ended up feeling really dry during my run Sunday and my heart rate was way higher than it should have been for my pace. Regardless, I finished the race feeling good about myself for spending a couple of hours out running on a beautiful spring day so that’s a win. I got lots of smiles from seeing the spectators (sparse but enthusiastic) and volunteers on the course. My good deed was thanking each of them for coming out for us. It’s a small race, but there were lots of people at each aid station helping out and cheering us on. I also got a cute new medal and a new respect for the hills on that race course. My quads are still seriously sore today! Needless to say, my ten flights of stairs goal won’t start until next week. I’ll take this week to recover from the half marathon, with lots of walking and stretching. My parents are coming tomorrow to help with “fix its” around my house, which should be fun and its own kind of exercise this week! We’re finishing the trim on my mantle, installing new electrical outlets and my new media center, building shelves and a work bench in my garage and a host of other little chores. 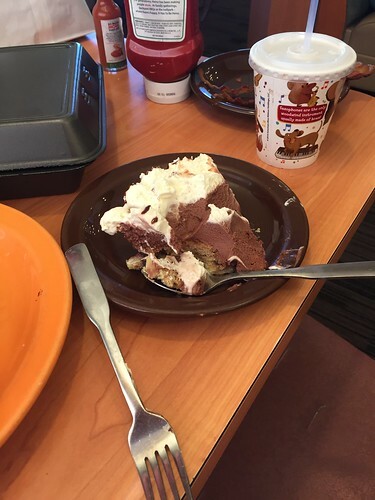 My NSV this week was taking a bite of O’s pie on my fork at Village Inn and then putting it back down before I ate it. Those little bites are part of what has gotten my in trouble lately! I also gave Darrell half of my baked potato dinner on Saturday night because I realized I was full. I was tempted to say “carb loading” and finish it even though I was full. I’m proud of myself for resisting that urge! Now that I’m done with really long runs for a while, I’m going to work on really tuning up my food before marathon training in August. I felt these extra pounds and poor food choices on those hills Sunday! What do you think – is it okay to head into the port-a-potty during the anthem if a spot opens? I worried the long line of people behind were irked that we weren’t moving along, but it felt wrong. What comes after race day? I had a dream last night that I was late getting to the race because I did too many “one last things” before I left for the race – I know I’m not the only one who falls into that trap. Then when I got to the race and caught up to the other runners, I found out that people were lost because the race course sent us into this big building complex without telling us where to go next or how to get out. It was a very odd dream and woke up me several times. I hate when you can’t escape a certain dream loop! Maybe the reason I was dreaming about a building full of stairs is because I was reading about stairs yesterday. Specifically, I was reading about training tips for a hike and the kinds of workouts that might help you get ready. This summer, I’m going to get to hike in Norway on the trail up to Pulpit Rock (more about it here). It’s a well established path, so it won’t be mountaineering by any stretch – just a steady uphill path. It’s about 2 miles up to the peak and climbs a little over 1000 feet from most reports, with either stacked rock steps or wooden pathways. Most reports say it takes about 2 hours to go up, which seems like a long time for that distance. I suspect that speaks to the incline and how often people have to stop and catch their breath from all of those stairs! I’ll be a couple of months out from my half marathon cycle, so I’m sure I’ll be in reasonably good shape cardiovascularly but I did some reading to see what other things I need to think about. Turns out, one of those things is balance. That’s a problem for me, as I’m a clumsy girl and this path has no guard rails of any kind. I found a couple of articles (here and here) with strength training exercises specifically for hiking that will hopefully help with the stairs and the balance issues. I’ll also need to get out at least once a week to walk my hilly neighborhood in my hiking boots to be sure my runner feet get used to those shoes again. I know time on the stair climber would also be good, but I confess that thing kills my knees and my brain. I’d much rather do actual stairs (which weirdly don’t bother my knees) so I’ll plan on doing at least ten flights of stairs every day. My office is on the 7th floor of my building so that should be a good way to keep moving during the work day! My race pics with O are always my favorite! 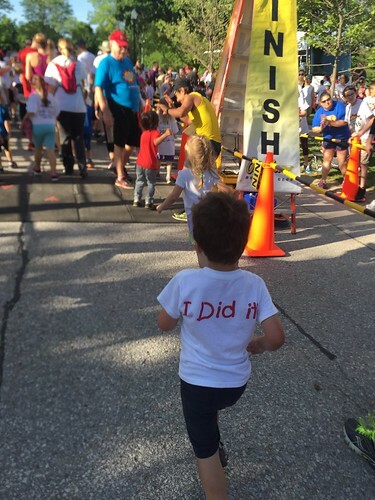 I have a couple of races planned this summer – the Boys Town 5 mile race that Oliver and I always run and a 10K at the end of June – as well as training for my back-to-back half marathons and later marathon scheduled to start August 1st. That means I definitely need to keep running in the mix. I think getting into the habit of regular strength training for the hiking will help my running quite a bit too! My training week August 1st includes 4 miles Saturday and 6 miles Sunday, with two three mile runs during the week. To be sure my base is at a level where that won’t be a miserable first training week, I’ll plan on running 3 days a week during this “off season” with a 5-6 mile run every weekend. I won’t worry about anything more detailed or stringent than that to give my brain a break from training and focus on strength training for the hike. So what does that mean my weeks will look like? This should keep me moving and fit enough for summer fun without being as mentally exhausting as a rigid training plan can be. It’ll be a nice balance I think. Do you make a plan for your off-season training or just wing it? Ever had any weird pre-race dreams?